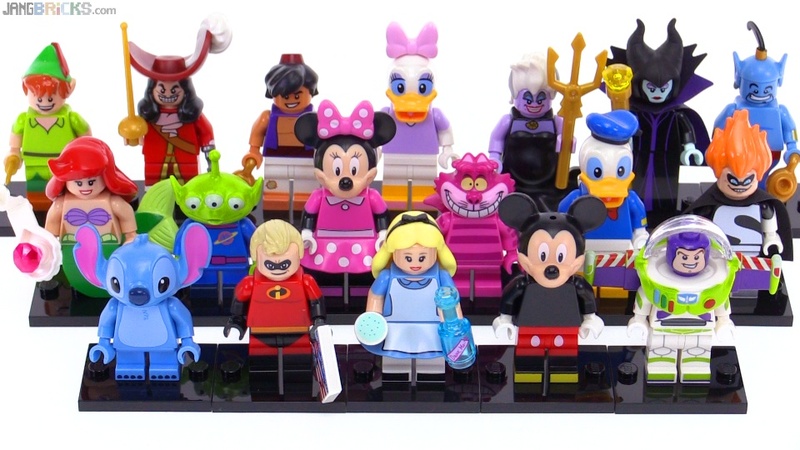 LEGO Disney Minifigures series reviewed! Thankfully it only took a few days to get a mistake corrected, so now I'm finally able to present all 18 of the official LEGO Disney collectible minifigures. Video: LEGO Disney Minifigures series reviewed! I know that by virtue of the subject matter alone, these will sell like hotcakes and develop & retain great value for the remainder of human history. I do wish there was more consistency in design & scale across the line, though. Can you tell what type of bricks did yo use to build a base for your star wars poes x wing starfighter and what bricks for your minifigures to stand on ?